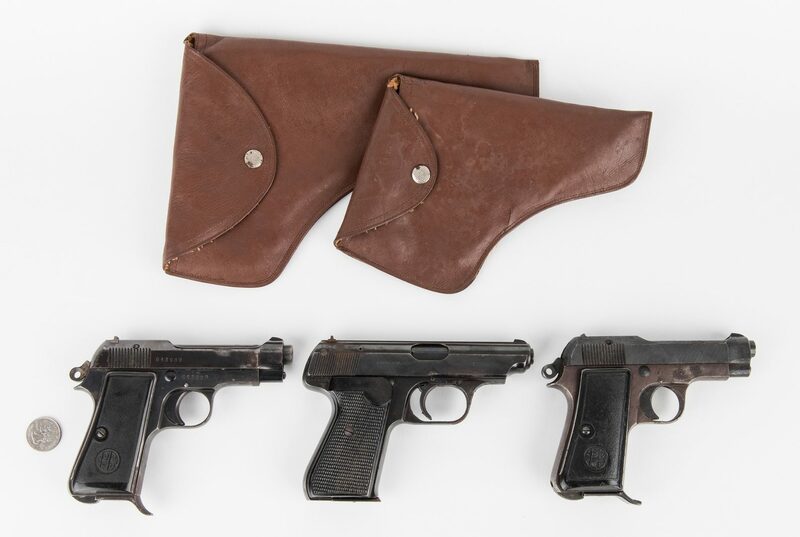 Three (3) 20th century European semi automatic pistols, 7.65mm caliber. 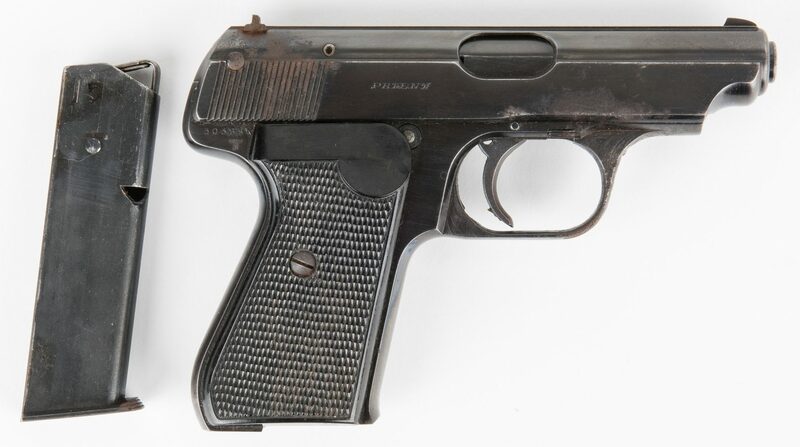 1st item: WWII German J.P. Sauer and Sohn Model 38H Double Action Automatic Pistol, 7.65mm caliber (same as .32 USA), serial number 303665, visible right side of frame. 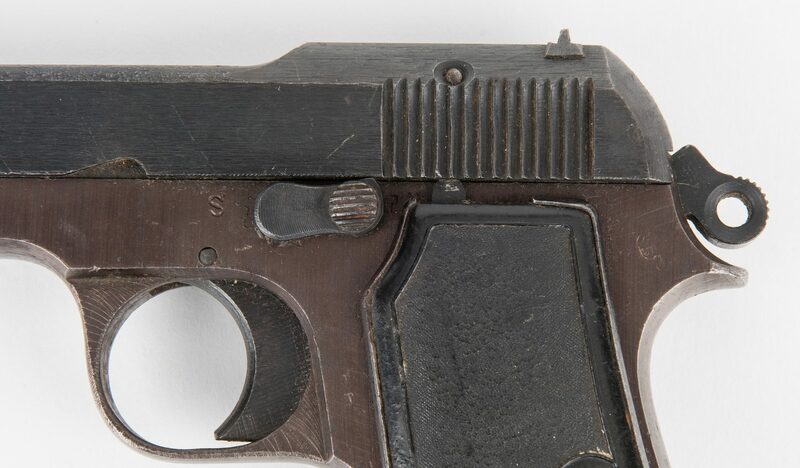 Left side of chamber marked "J.P. Shuer & Sohn, Suhl" and "CHL 7.65", right side of chamber marked "PATENT", German acceptance proofs including Nazi eagle left and right side of chamber and frame. Checkered black Bakelite grips with "SuS" logo on left side, metal frame, military-finish blued, hidden hammer, standard sights. Includes one (1) magazine clip. Barrel length – 3 1/2". Overall length – 6 1/2". 2nd item: End of WWII Italian Beretta Model M1934, 7.65mm caliber (same as .32 USA), serial number 614063, visible right side of frame. Right side of frame marked "CAL 765", left side of frame with inspection marks. 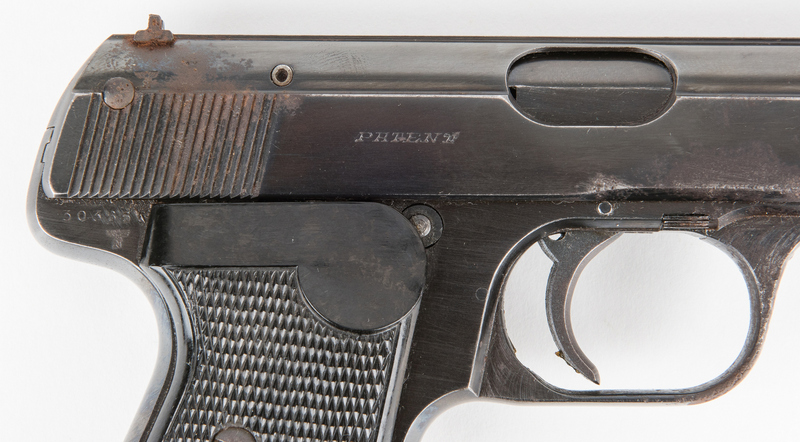 Black Bakelite grips with initial cartouche, round barrel, metal frame, standard sights. Includes one (1) magazine clip. 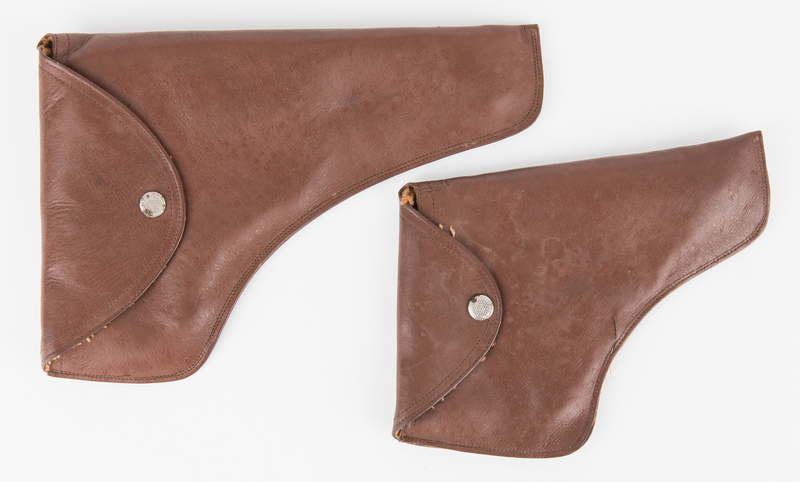 Barrel length – 3 1/2". Overall length – 6 3/4". 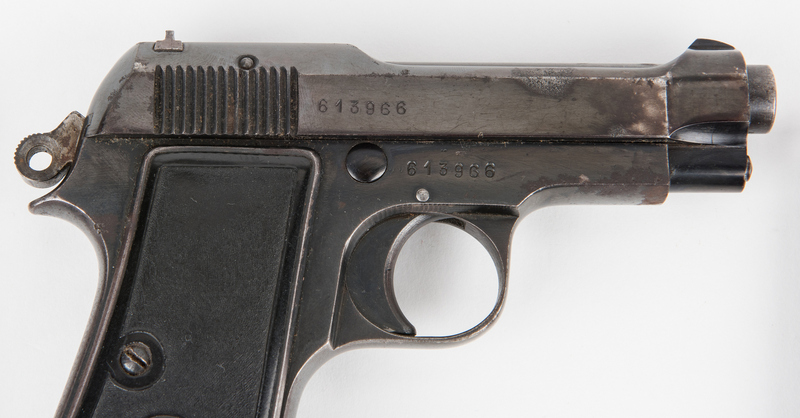 3rd item: Italian Beretta Model M1934, 7.65mm caliber (same as .32 USA), serial number 613966, visible right side of frame and chamber. 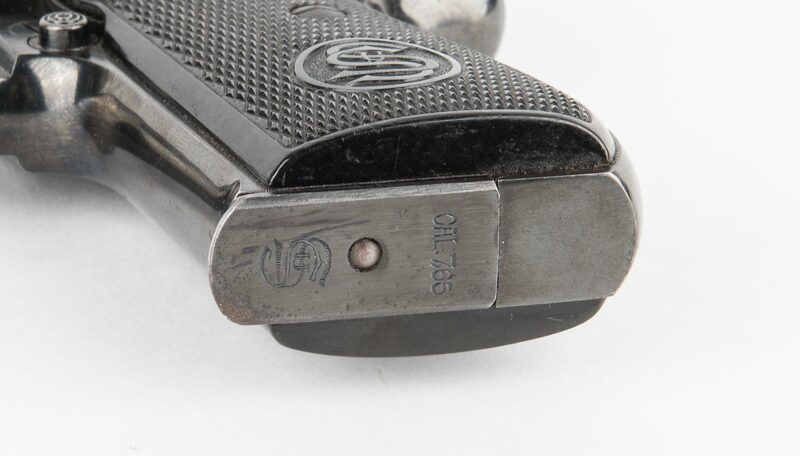 Left side of chamber marked "P. Beretta CAL 9 CCRTO Mo 1934 Brevettato Gardone V.T. 1937 XV", left side of frame with inspection marks. 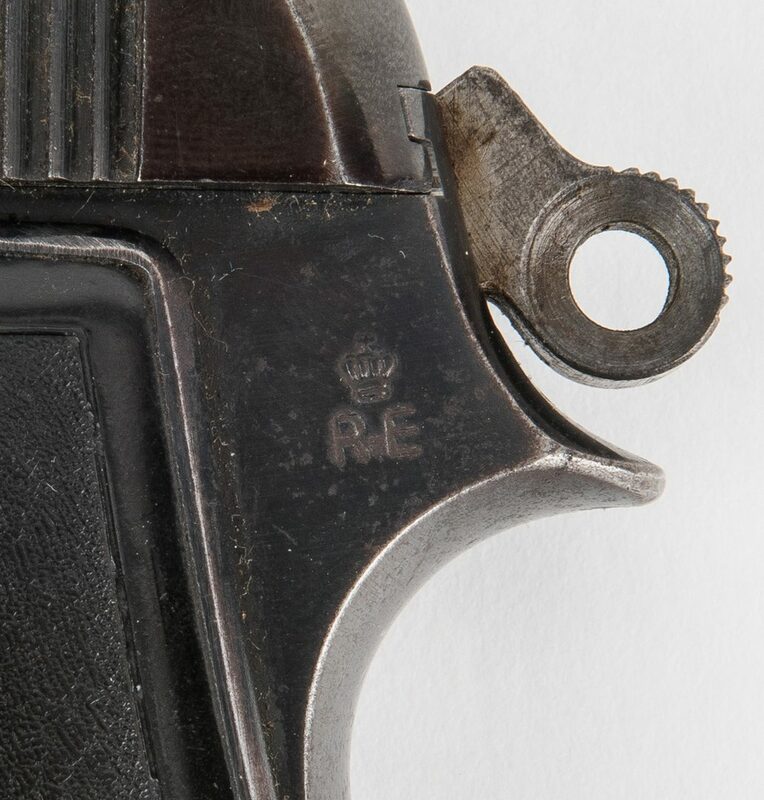 Black Bakelite grips with initial cartouche, round barrel, metal frame, standard sights. Includes one (1) magazine clip. 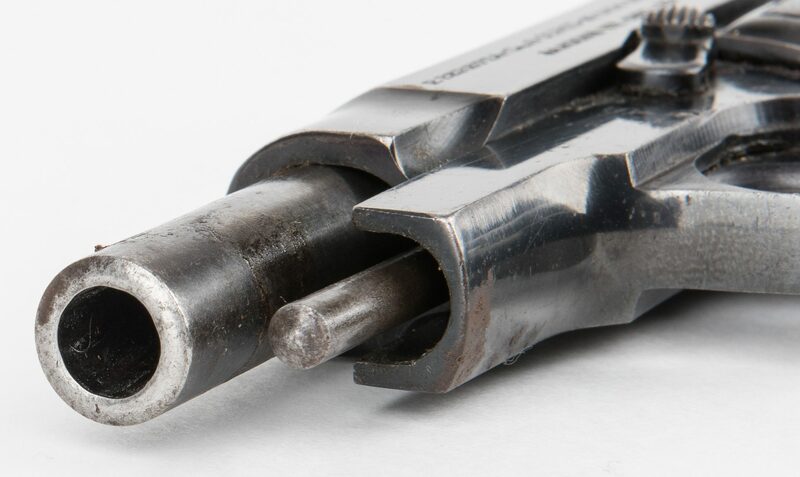 Barrel length – 3 1/2". Overall length – 7". 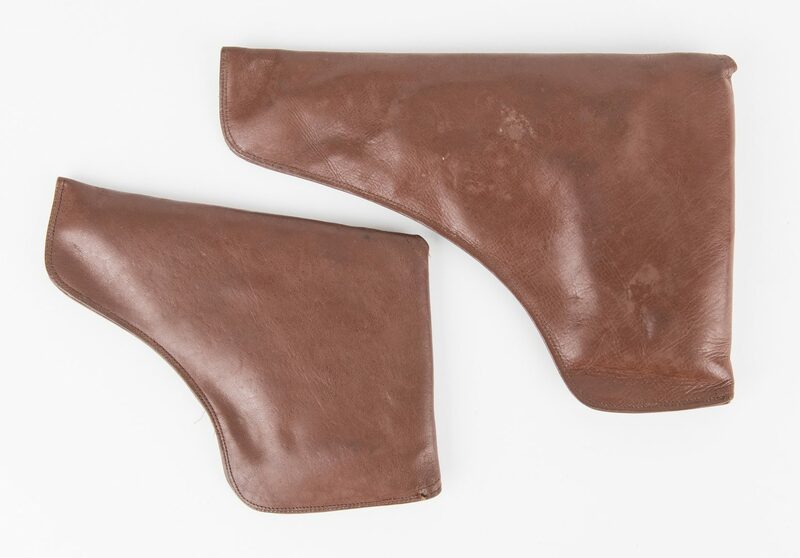 Lot includes two (2) brown faux leather holsters, 8" x 10 1/4". Most firearms made after 1898 require passing an FFL background check prior to transfer. Please be prepared with proper identification and information. If you do not reside in Tennessee, an FFL dealer in your state is required to complete the transfer. CONDITION: 1st item: Functional but cannot guarantee ability to fire. Bluing present with some loss to chamber and barrel. 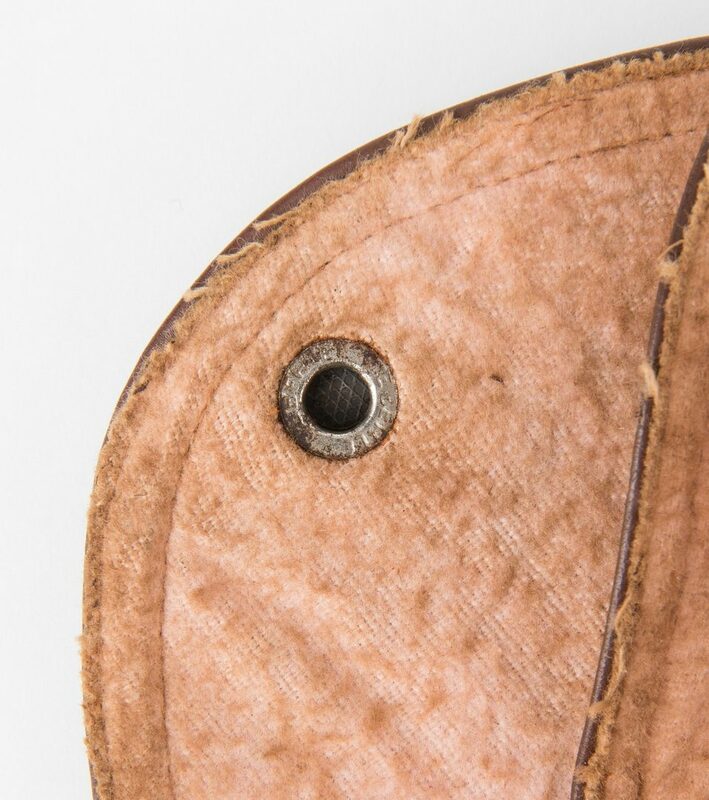 Areas of rust to chamber surrounding rear sight. 2nd item: Functional but cannot guarantee ability to fire. No serial number on the barrel/slide (possibly refurbished barrel/slide or remanufactured). Bluing is worn off to frame and barrel, areas of rust. 3rd item: Functional but cannot guarantee ability to fire. 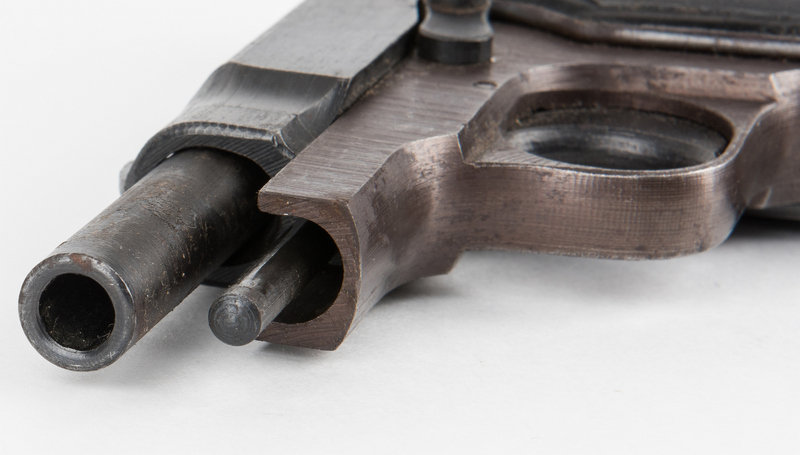 Bluing is worn off on the barrel, areas of rust.